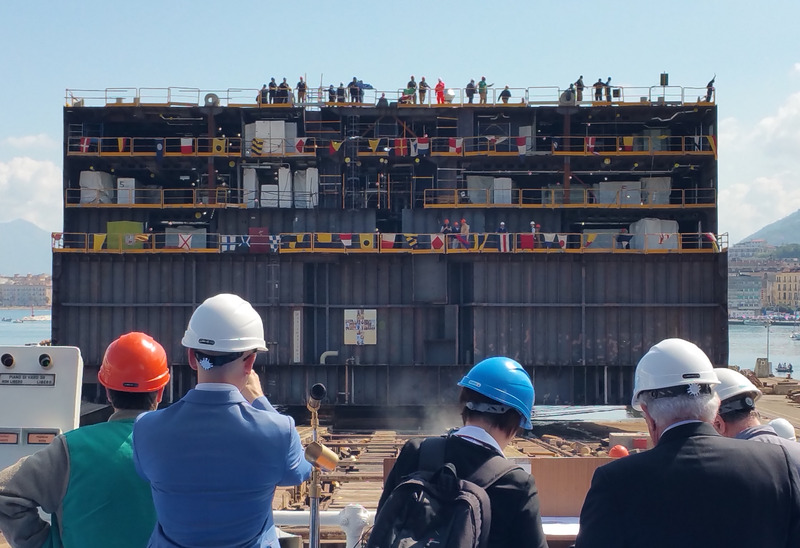 Earlier today at Fincantieri’s historic Castellammare shipyard located along Italy’s Sorrento peninsula, a launch ceremony was held for Carnival Cruise Line’s second Vista-class ship scheduled to enter service in spring 2018. Carnival President Christine Duffy served as godmother to this event, during which a gigantic, 300-foot-long section of the ship’s hull, constructed at the Fincantieri shipyard, was launched into the water via a traditional method that involved sliding the section down a ramp versus the newer, more common method of filling a dry dock with water. After a priest’s blessing, Duffy cut a ceremonial cord, releasing the massive section into the water to great fanfare. 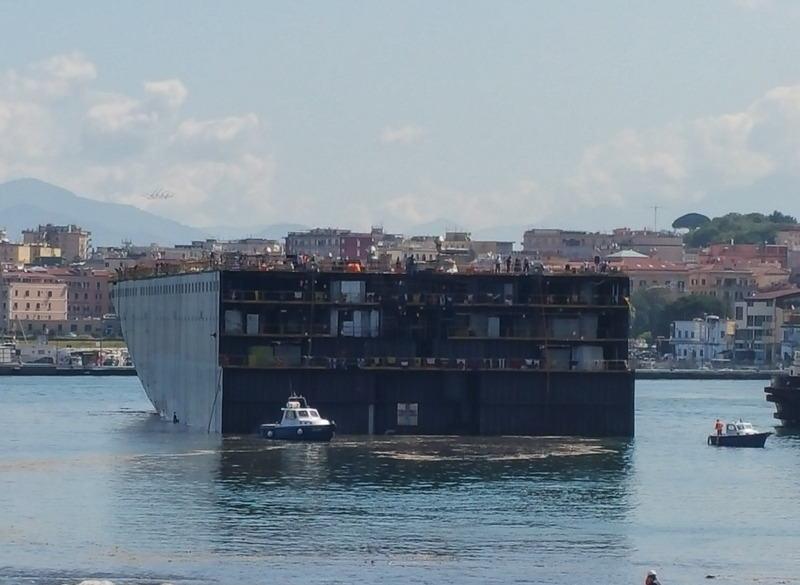 The section will be moved via tug boats to Fincantieri’s Marghera shipyard where other sections of the ship are being constructed. 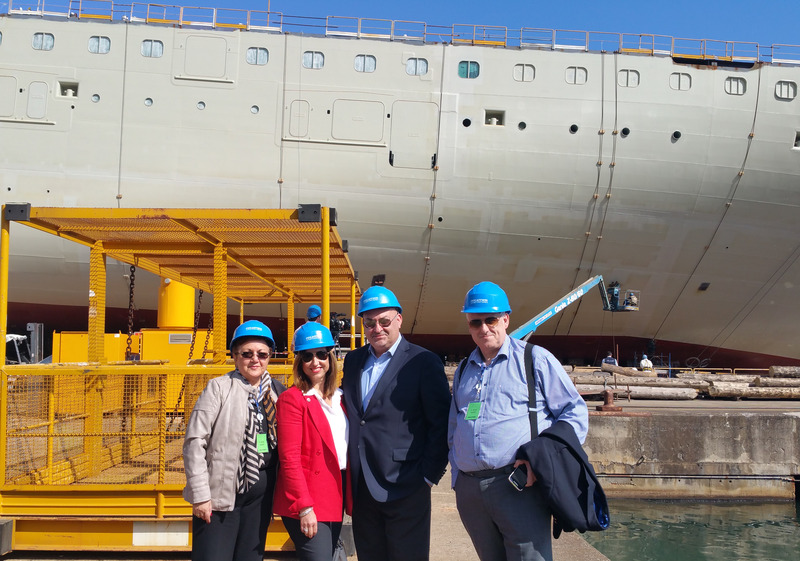 The second Vista-class ship will be completed at the Marghera shipyard and is scheduled to enter service in spring 2018. 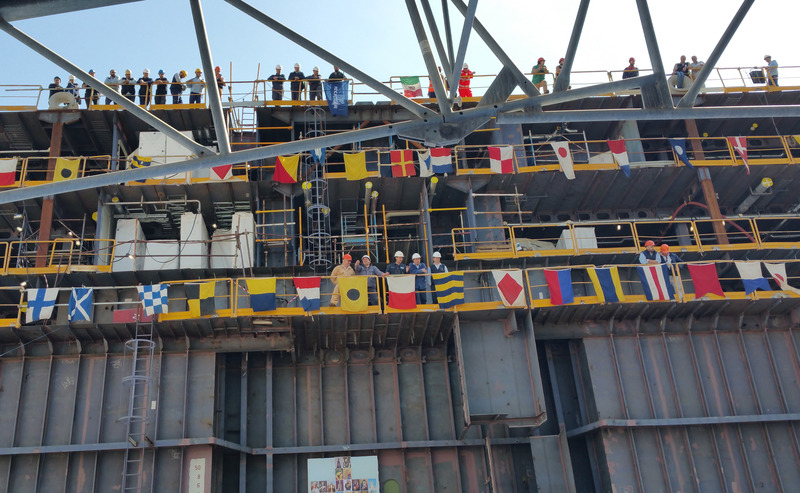 The as-yet-unnamed 133,500-ton ship will offer a variety of dining, bar, entertainment and activity options currently featured aboard Carnival Vista, which debuted earlier this month, along with some innovations unique to this vessel.